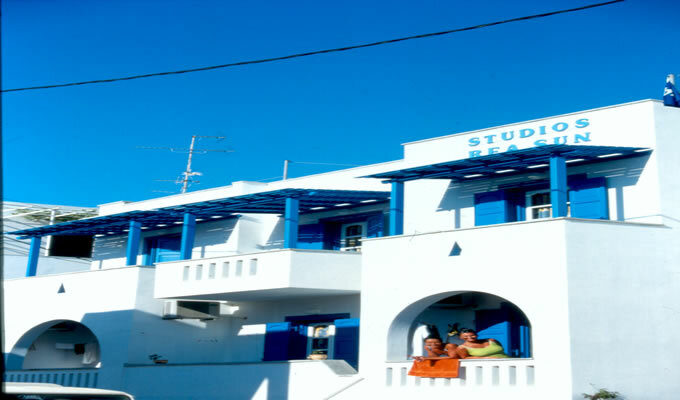 Studios Rea sun is located in a beautiful quiet area,just only 50 meters from the beautiful sandy beach of St. George and 300 meters from the center the town of Naxos. 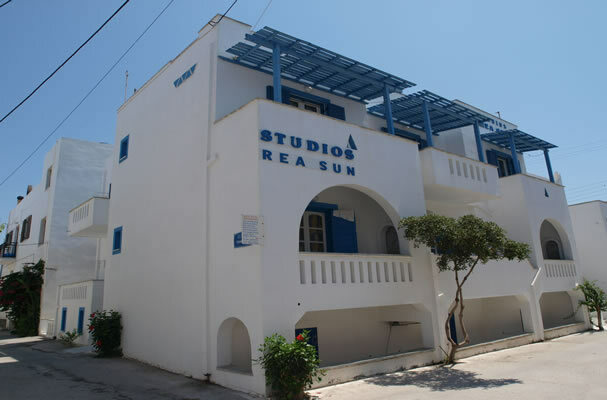 REA SUN STUDIOS offers services and quality that guarantee complete satisfaction, and relaxing holidays. We offer to our guests Free Wireless access –Room service- Library- - Free Transportation to/from the Airport/Port-Free parking also car-bike rental Service - laundry Service - information Desk. 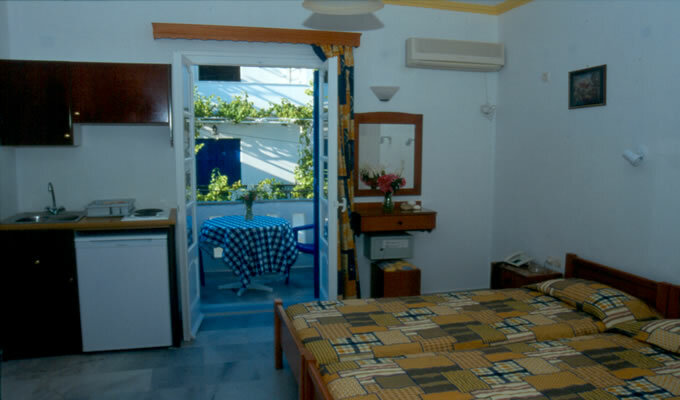 All studios are very spacious and comfortable and can accommodate 2 to 3 people. hairdryer and all have private sunny balconies and some of them are privileged to have sea view.